Successfully Added LaserWorks LW1000 Pro Golf Rangefinder - Goniometer, Flagpole Lock, 6X Magnification, Anti Fog, Weatherproof, Carry Case to your Shopping Cart. 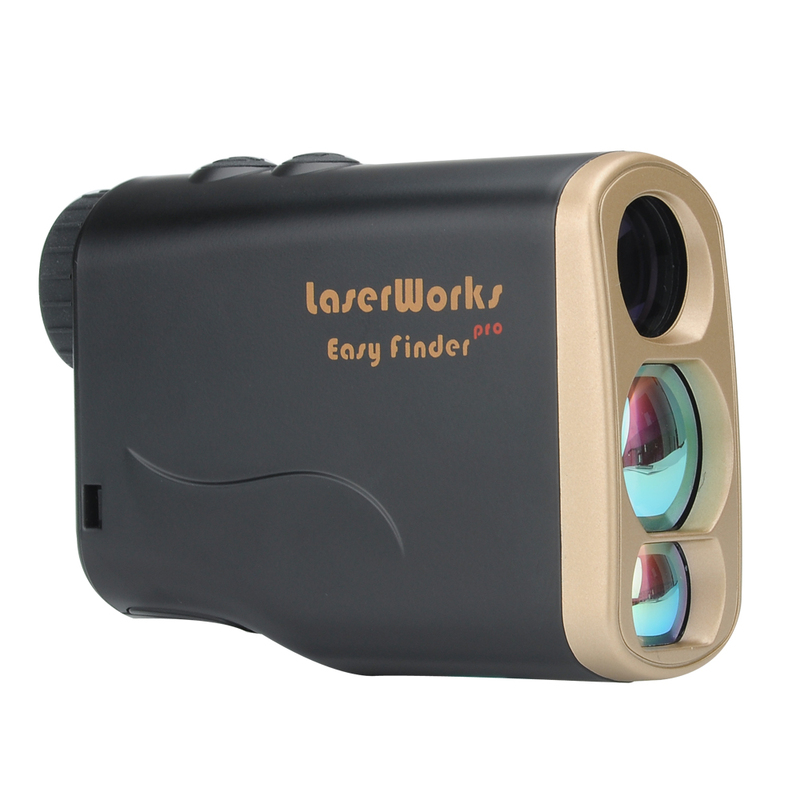 The LW1000 Pro has a flagpole scanning mode that can differentiate between the target on the green and other background obstacles. This allows it to zone in on the pin from up to 1000 meters away and offer accurate measurements in no time at all. With goniometry sensing this rangefinder will calculate the angle from you to the target and inform you of any gradient, it also provides compensated distances for elevation changes so you won’t be over hitting or dropping short of the green as you’ll know exactly how far away it is. Suited to professional and amateur golfers alike the LW1000 Pro is the perfect caddy and makes a great gift for any golfer. This LW1000 Pro Golf Rangefinder comes with a 12 months warranty, brought to you by the leader in electronic devices as well as wholesale sports and outdoor gadgets..
E un goniometro distanziometro di grande utilità per svago o per lavoro , infatti ne vedo l'utilità anche in caso di misurazioni di massima per controlli topografici. Ottima qualità ad un buon prezzo.